I was inspired to try out this dish by a confirmed carnivore who normally wouldn’t let anything vegetable anywhere near her. Ironically, I decided to add a carnivore twist to my friend’s purely vegetarian recipe (sorry, vegetarian people 🙂 ). The amounts used in this recipe provide a generous main course portion for two. Do you preps first as this dish cooks really quickly. 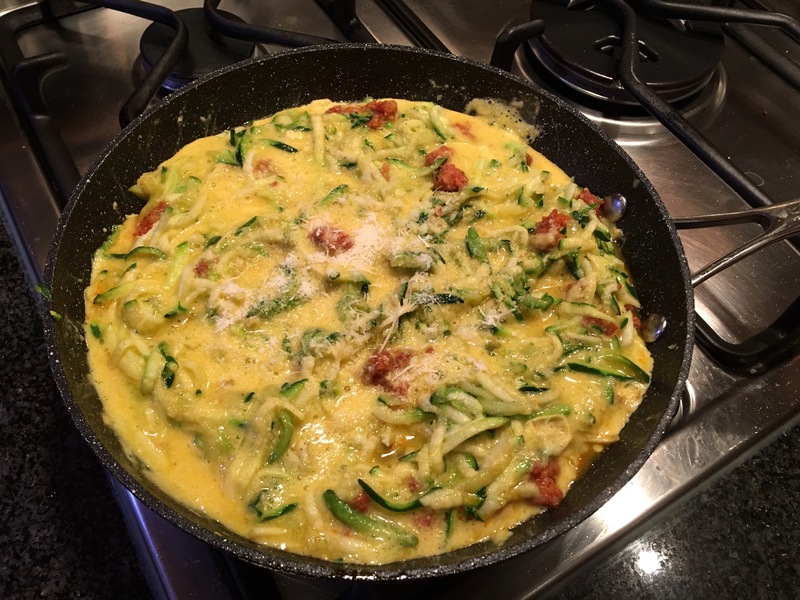 Grate your courgettes using a hand grater or a food processor; dice the chorizo into 1 cm cubes; finely chop the garlic cloves and beat the eggs. 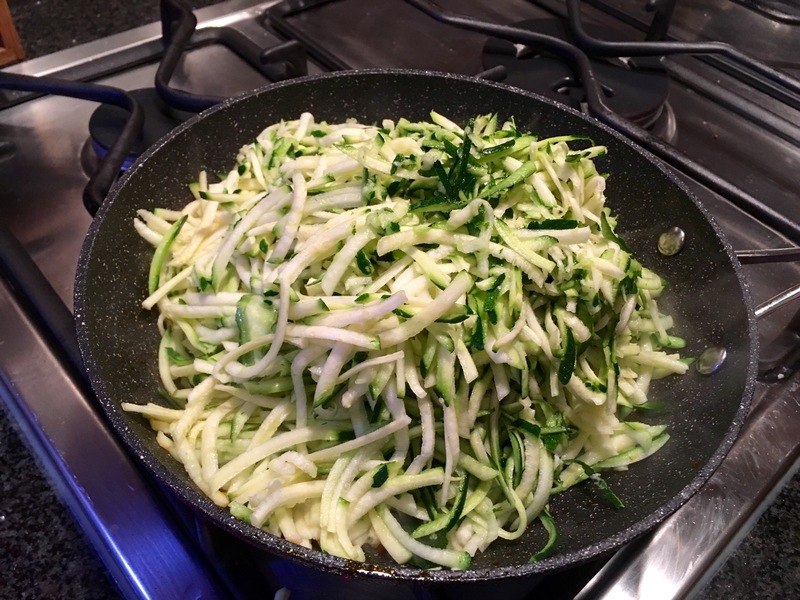 In a big bowl mix your courgettes with grated parmigiano, add the chorizo and garlic and season to taste with salt and fresh ground black pepper. 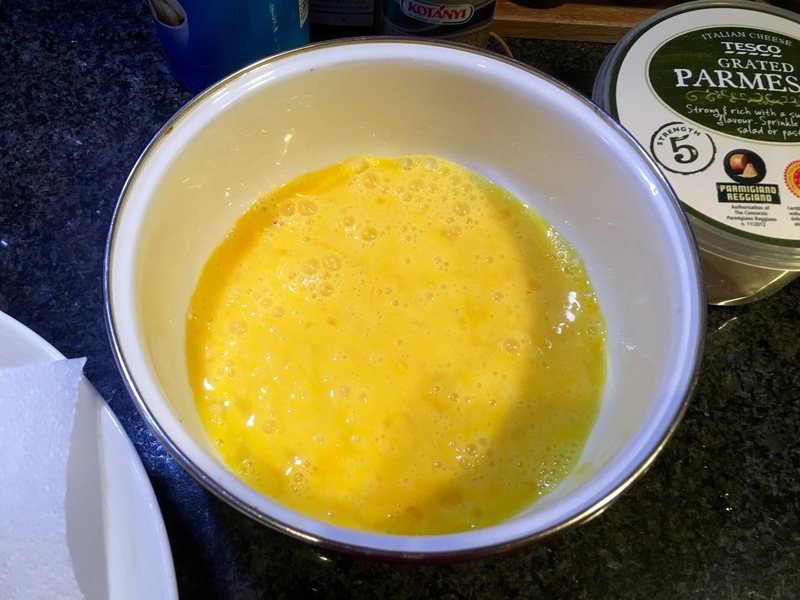 Then, transfer everything back to the chorizo flavoured pan, pour the beaten eggs over your frittata and flatten it out. Ground a bit more black pepper over it and sprinkle some more parmigiano. Sear in the pan for a few minutes and then transfer to a pre-heated oven for ca. 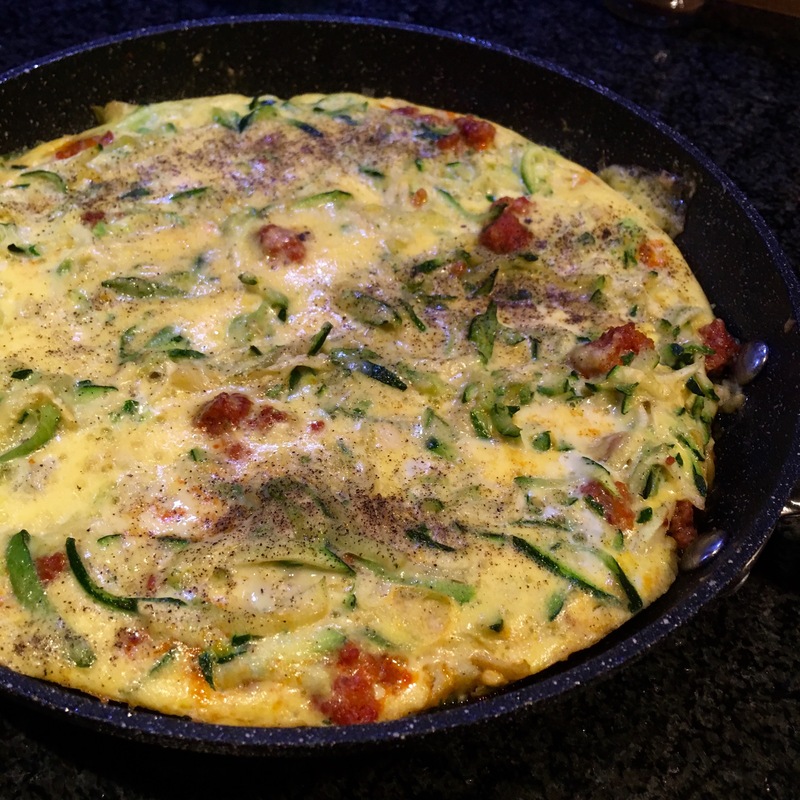 15 minutes (less if you are making a smaller portion) until the eggs are cooked. DONE! 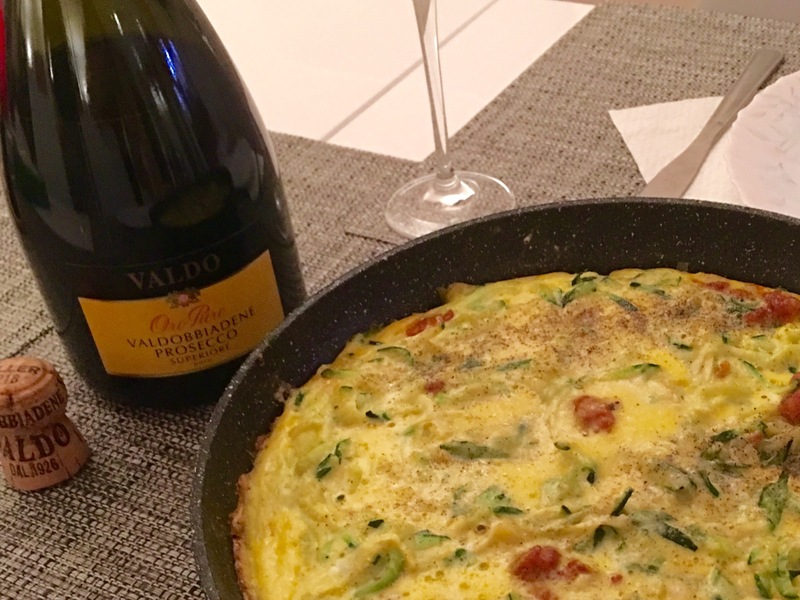 Since we had a little something to celebrate that night, but the occasion wasn’t big enough to pop a bottle of champagne, I served the frittata with prosecco. 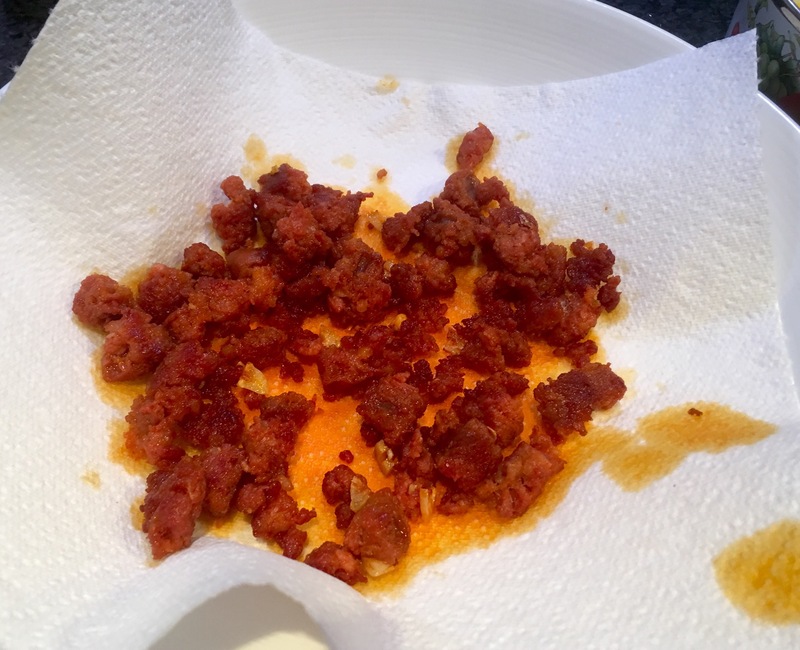 And frankly speaking it was nearly a perfect pairing because the residual sugar neatly balanced off the spiciness of the chorizo and the heat of black pepper. Previous PostHow to make delicious duck breasts in no time – step by step videoNext PostVote for SweervyWine at UK Blog Awards!